Mitt Romney loves America. Loves it! Jumping up and down on the sofa! Gee, whatever could Williams and Obama have in common? Can this be interpreted as meaning anything other than that South Carolina Republicans are a pack of racist buffoons? 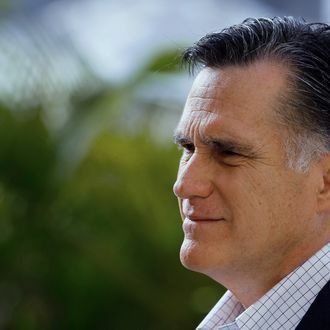 I find that contempt pretty well-founded, and it is a relief that Romney does not believe the nonsense he spouts during the campaign. But the persistent awkwardness of Romney’s campaign style reflects this basic tension. It’s easy to try to persuade somebody for whom you have basic respect. It’s persuading somebody whom you consider stupid — while you must conceal any trace of your disdain — that’s excruciatingly difficult. Romney’s awkward manner on the trail is the agony of suppressed contempt.